There are many popular radio stations to be found in Singapore. 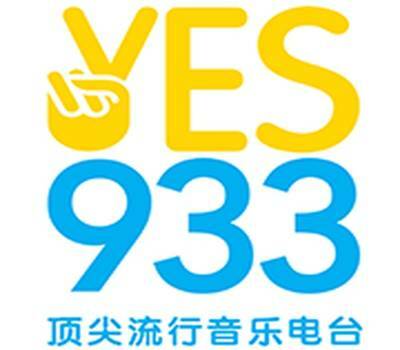 YES 93.3 FM is a broadcast radio station in Caldecott Hill Estate, Singapore, and providing Chinese Top 40 Adult Contemporary Pop music and lifestyle-related programs. This radio station broadcasts in Chinese, one of the official languages of the country. It is a 24-hour music station that plays contemporary hits. Mediacorp is the owner of this radio station. YES 93.3, start broadcasting on 1 January 1990, the first program that was broadcast there was 12:00 on the same day. Its team of professionals includes Ning, Zhong Kunhua, Cai Weibin, Jeff, Xiao Jiahui, Cruz Teng, Lin Pei Fen and Xie. To get more information, just visit Yes 93.3 FM Website: radio.toggle.sg/ZH/yes-933-FM. Yes 93.3 FM is popular radio stations in Singapore. It’s the major Chinese spoken radio station in the country; you will listen to immense Chinese songs of diverse music genres. This station was previously known as 933 醉心频道 in Chinese is a Mandarin radio station owned by Mediacorp in Singapore. Popular Programs are Entertainment City, Send Views, Ye Ye Night, Zhou Tai! Alright! etc. Main DJ’s are Seah Kar Huat, Lin Pei Fen, Cruz Teng, Jeff, Cai Wei Bin etc. Singapore Radio began in 1936 with stations each broadcasting in its four authorized languages – namely Radio One (English), Radio Two (Malay), Radio Three (Chinese) and Radio Four (Tamil). The then owner – Singapore Broadcasting Corporation – launched a refurbish movement and started some stations targeting dissimilar segments of the inhabitants. Perfect Ten 98.7 FM began in 1989 to play English hits for the youth, while its Chinese equivalent, YES 93.3 FM began broadcasting on 1 January 1990 at 09:33. The Malay equivalent, Ria 89.7FM began in December of the same year. 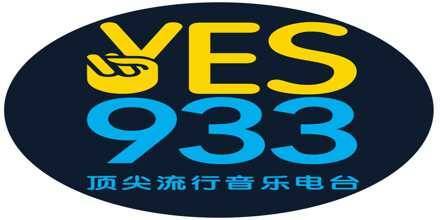 YES 933 began as an 18-hour station, broadcasting from 06:00 to 24:00. Broadcasting hours were extended to 02:00 in December of the same year, making it the first Chinese radio station to offer music after midnight. It finally went 24 hours on 1 May 1994. This radio station ended its broadcast on 20 January 2017 at 10:00 at Caldecott Broadcast Centre and thereafter moves on to the new campus at 1 Stars Avenue. Address: Caldecott Broadcast Centre, Andrew Road, Singapore 299939. Liveonlineradio.net has YES 93.3 FM Radio in its listings. Just click and enjoy. YES 93.3 FM Radio– www.liveonlineradio.net/singapore/yes-93-3-fm.